1. Kittens. The answer is always kittens. 2. 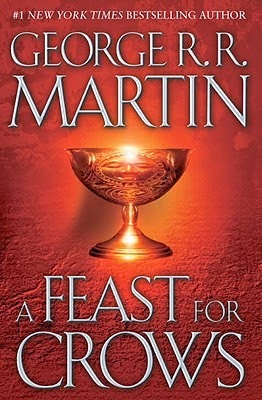 A Song of Ice and Fire book 4. This book is getting intense, and there is one specific character I would like to bludgeon right now. And cliffhangers! Gonna need that next book soon. 3. Clinique Take the Day Off cleansing balm. This stuff does wonders taking my makeup off at night. I recently switched from makeup remover wipes to this, and it’s a lot healthier for my skin. 4. 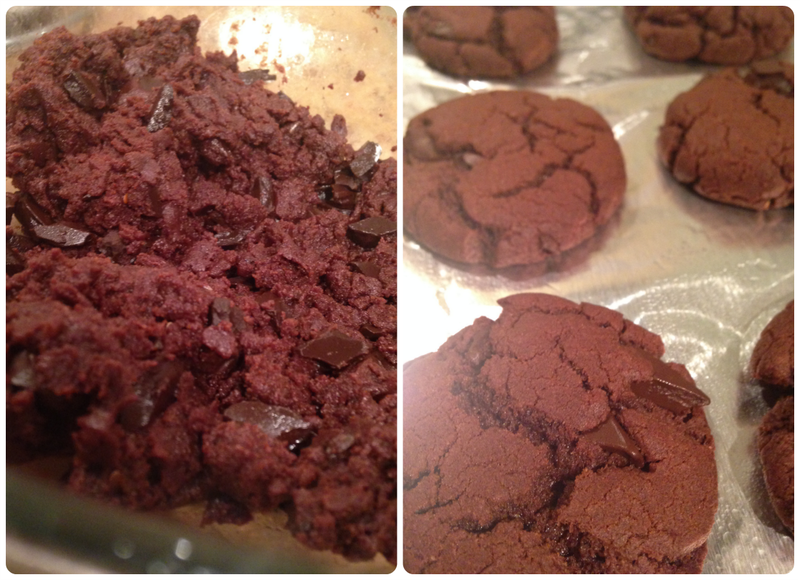 These chocolate chocolate chip cookies made from a Veganomicon recipe. 5. 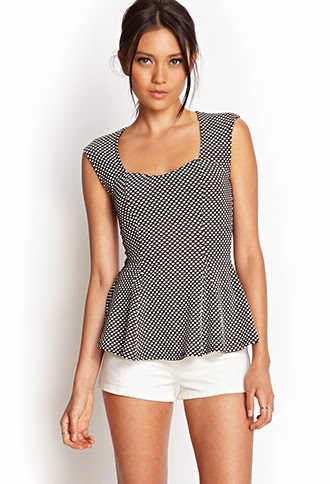 This polka dot peplum top I just ordered from Forever 21, along with several other tops. I hope it fits; I don’t own any peplum tops. 6. 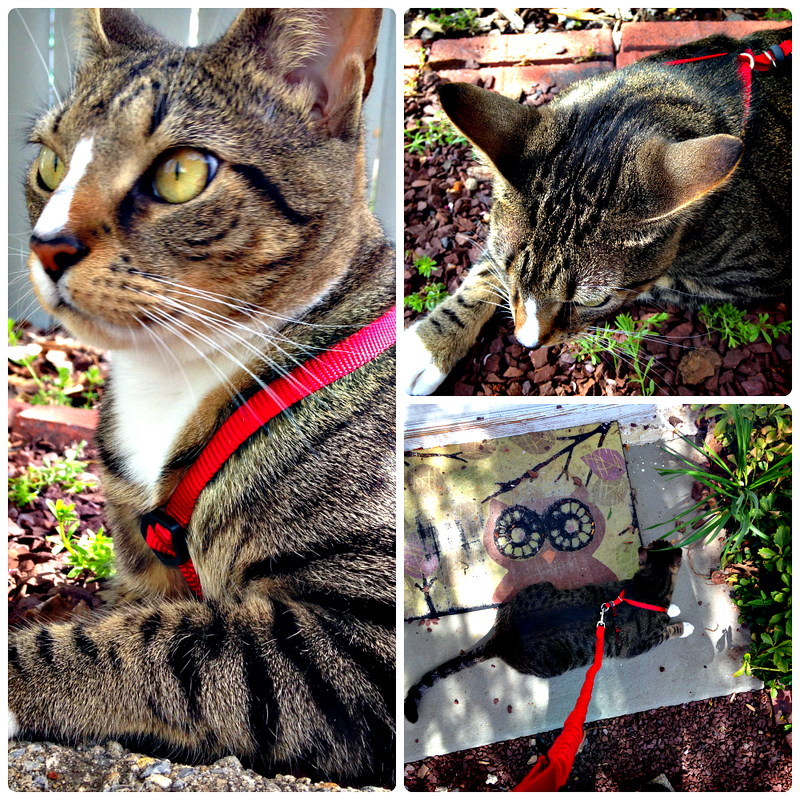 Cat walks. Luna is a brave girl and loooooves to go outside. She’s not even scared when our neighbor’s dog walks by. I’m pretty sure she would love to run wild out there, but our neighborhood has too many cars for that. Stop it with the baby kitty!!! OMG I WANNA SQUEEEEEEEZE IT! 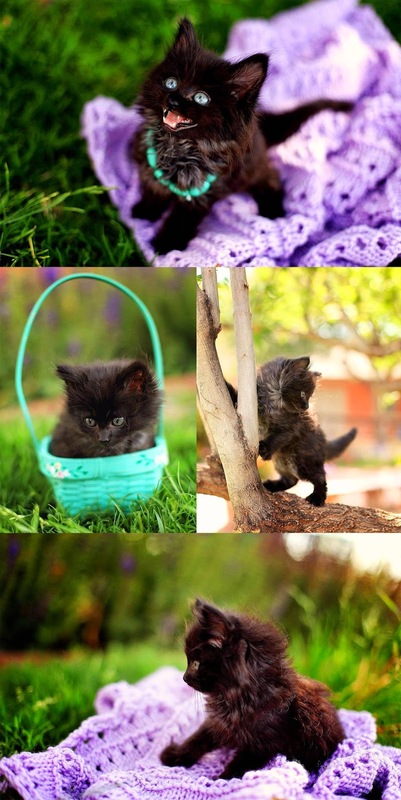 I want to find this kitty and hug it!!! So sweet. That peplum top is SO cute! I don't have any either but they sure are adorable.